If the ancient Greek Olympians could see the way the average Joe Athlete works out today… well, they might not even recognise it as exercise. Thanks to modern technology and the way the internet helps spread fads, the last few years have seen some truly weird and wonderful fitness trends emerge. If you’ve recently spotted someone wearing what looks like two watches at once, chances are that at least one of their accessories was a wearable fitness tracker. Some of these gadgets look like watches, and others are disguised as simple bracelets with hidden buttons or one-way-mirror-style displays. Basic models track steps and time, whilst advanced models track everything from distance (using GPS) to heart rate zones tailored to your height, weight and age. Then there are the smart phone apps that take you beyond your normal running playlist. Take Strava for example.i If you like a bit of healthy competition, Strava lets you track and record your running and riding via GPS. Users are able to compare their performance over time and compete with other users for best times. Other apps purposefully encourage walking a healthy distance. The 10,000-step challenge is a popular one, using GPS to track the number of steps you take per day, with the ultimate aim of walking the equivalent of eight kilometres. For those who struggle to cook whole foods from scratch, the humble food processor has had some welcome makeovers over the years. Today’s WiFi-enabled models connect to mobile apps and can cook or chill as well as process. They’ll do just about everything for you save plating up and pouring you a nice drink to go with your meal. 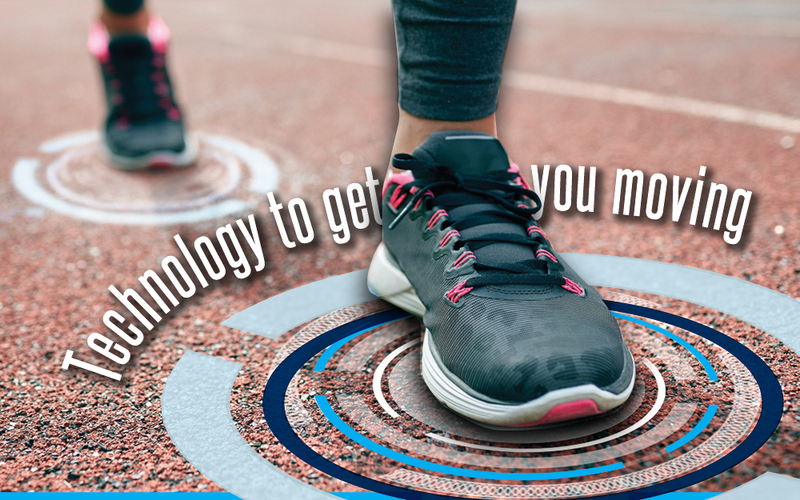 The great thing about this new technology is that getting a hand with your health and wellbeing can be very cost effective. Some of the most popular phone and tablet apps can even be downloaded free of charge. But while apps may help keep you engaged and motivated, that’s not to say you can (or should) get rid of your personal trainer or dietician. Rather, technology and ‘fun’ fitness classes are a great way to complement your existing routine. Fitbit i is perhaps the most well known wearable fitness tracker on the market. Depending on the model you get, it can track everything from your steps and altitude travelled, to your heart rate and sleeping patterns. You can set goals, look for patterns in your stats, and even share your info with your trainer or doctor. Couch to 5K is a smart phone app that’s popular with those new to running or trying to get back into shape. It provides a staged approach to developing stamina and fitness, working up to running five kilometres. Calorie Counter by MyFitnessPal is a nutrition and fitness app that’s great for those who have trouble balancing calories in versus calories out. It integrates with a variety of fitness trackers, as well as being a standalone app. So what’s next for the fitness industry in 2017? Well, if game fans have their way, you’ll see more virtual reality fitness games. There’s one out right now where you can sit on the stationary bike and suddenly you’re not just cycling, you’re riding the Tour de France in the Alps. There is a lot of choice out there and it’s really up to you to find the device or app that’s going to keep you enthusiastic and challenged enough to meet your fitness goals. Even if you’re just looking for some inspiration to get you off the couch – pick up your phone or grab a fitness tracker and get moving.